Making Time Stand Still. Awesome. Check out this photograph. That’s aurora borealis, or the northern lights, as seen from the upper regions of Norway earlier this week. This spectacular display was fueled by one of the most potent solar storms in a decade. One can only imagine what it must have been like to actually witness this event. It must have been truly awesome. I know. I know. Awesome is a tired, overused word these days, when everything from breakfast to a pair of sneakers can be described as awesome. Awesome is no longer connected to awe, that rare and overwhelming emotion inspired by vast and moving events. Sneakers aren’t life-altering, but awe-inspiring events and vistas and personal experiences really can alter the way we think about the world. We need to put the awe back in awesome. It all has to do with time perception, these scientists believe. Modern life is plagued by what’s been called “time famine”—the sense that we have way too much to do and way too little time to do it. Everyone seems to feel this sometimes overwhelming sense of having too few minutes, hours and days—and it leads to all sorts of untoward consequences. Perceived time scarcity has been shown to disrupt sleep, to sap our self-discipline and ability to delay rewards. It undermines health, leading to more fast food consumption and skipped medical exams. Rationing out our precious time leads inevitably to self-centered disregard for others. The list goes on. These scientists were wondering if there might be a way to shift this common misperception of time—and counter these damaging consequences. The fact is, most of us do have enough time, but it’s maddeningly difficult to keep perspective on this. These scientists suspected that stopping time—somehow keeping people in the moment—might alter overall perceptions of time scarcity. And how do we go about stopping or expanding time? With jaw-dropping, awe-inspiring experiences. At least that’s their theory, which they tested in a series of experiments. All of the experiments were basically the same, with slight variations to explore different nuances of the idea. Each used an experimental manipulation to prime some volunteers’ sense of awe; they watched, wrote or read about an awe-inspiring experience, while others focused on neutral or merely happy (but not awe-inspiring) events. Then afterward, the volunteers answered questions about their perceptions of time: Is time plentiful? Is it slipping away? Am I pressed for time? The idea was, first, to establish the link between awe and time perception. And indeed, those who were primed to feel awe—those volunteers also saw time as much more expansive, less constricted. They felt free of time’s pressure. Importantly, the scientists ran the experiments in a way that verified the order of psychological events: That is, experiencing awe diminished time pressure in the volunteers’ minds (not the other way around), and this freedom from time’s constraints in turn triggered the other positive outcomes. It’s notable that the awe-inspired volunteers became more likely to volunteer, but not more likely to donate cash—underscoring the importance of time perception in these changes. 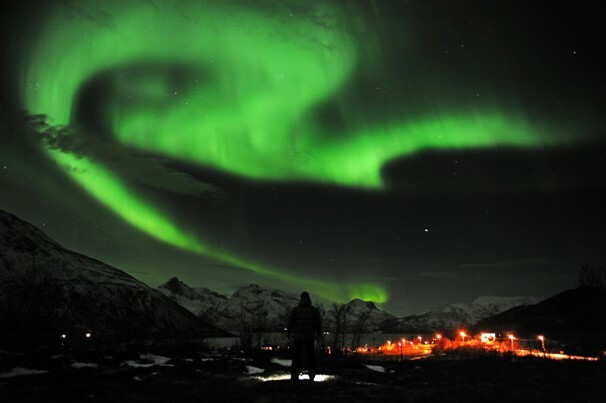 Awe-inspiring experiences do not need to be as cosmic as the northern lights. The birth of a child can stop time in its tracks, as any parent can attest, as can listening to a beautiful symphony. And even smaller things: As these studies demonstrate, even exposure to brief video images and stories and short walks down memory lane can help us right-size our sense of time and life. We can’t order up awesome experiences on demand—at least not the heavenly kind—but we can stay mindful of such common opportunities for awe, which might alter the pervasive time-starved perspective that is distorting our modern sensibilities in so many unhealthy ways. Wray Herbert’s book, On Second Thought, devotes a chapter to our deep-wired affinity for nature. Excerpts from his two blogs—“We’re Only Human” and “Full Frontal Psychology”—appear regularly in Scientific American and The Huffington Post. News > We're Only Human > Making Time Stand Still. Awesome.